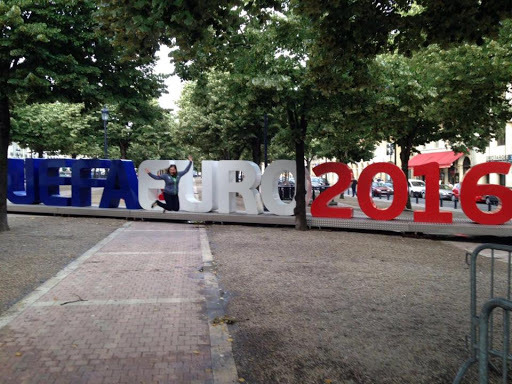 Euro Diary part 2 – Bordeaux – Where's Clair? I’m TERRIBLE… I have not been keeping up to date with my adventures at all because I basically keep getting distracted. 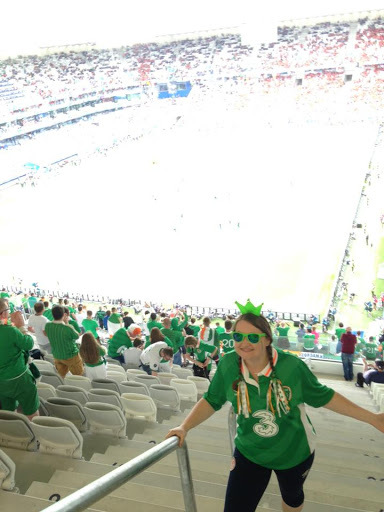 I STILL haven’t filled you lot in on the second part of Euro 2016 for me and I’m sure it’s old news by now, but nevertheless, I still do want to tell you about my time in Bordeaux. So we flew into La Rochelle, one of the teeniest little tin sheds of an airport and picked up our rental car for the week. Of course we firstly had to decorate it with Irish flags and wing mirror covers – God forbid that people might think that we were French! 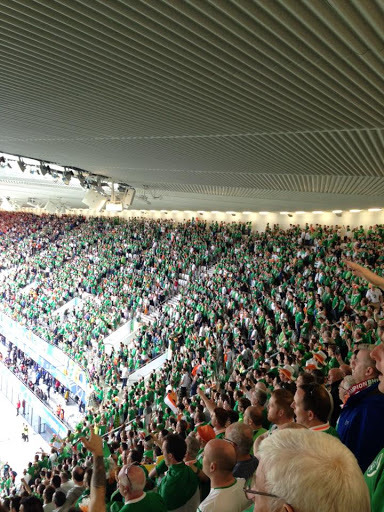 We weren’t alone with our public display of patriotism and we spent most of the journey beeping at fellow supporters all heading to Bordeaux for the game. 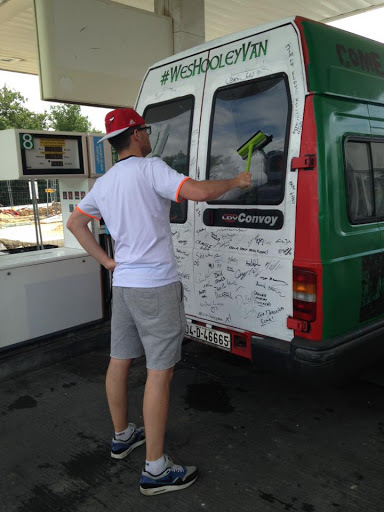 While stopping at a petrol station for reserves, we bumped into a hilarious group of lads driving the wittingly named “Wes Hooley Van”. 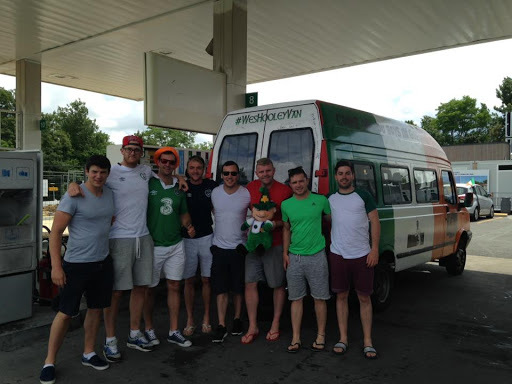 There were 12 of them all bunched into this minibus and they kindly gave it a wash when I asked them for a picture. Sound lads! We stayed in the Ibis Budget hotel in Bordeaux…. That’s right you heard me, the Ibis budget. We were made immediately aware of this when we arrived to check in and were told that our separate “budget” reception was around the back….. so we checked into our tiny lime green room and made a mutual decision not to spend too much time in the room! 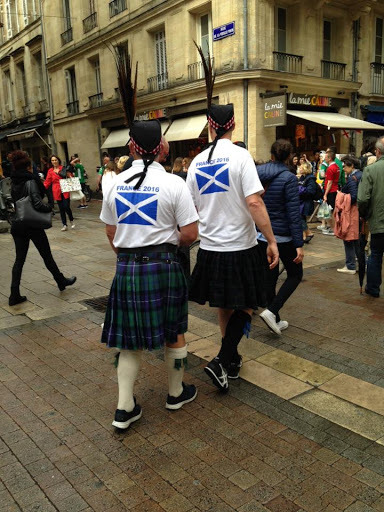 We headed off to explore the city and found a few poor Scottish football fans who were clearly lost. 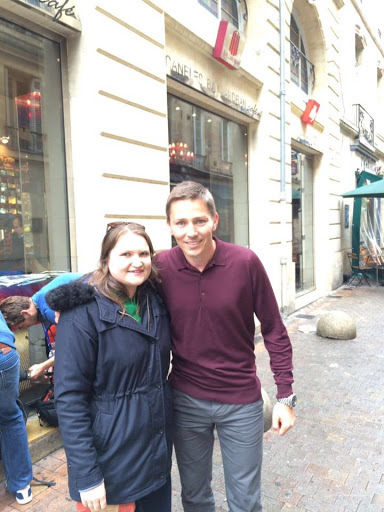 The excitement got a little too much for me when I bumped into Matt Holland on the street. I totally fangirled it, and without shame jumped in for a photo! 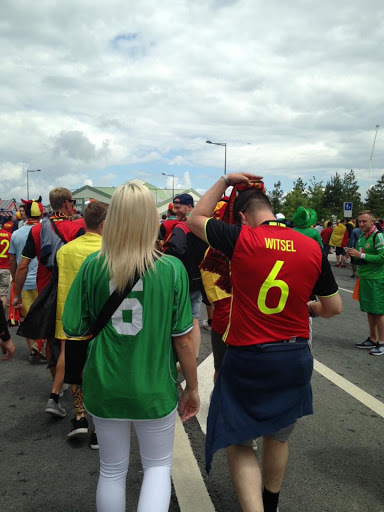 The Irish had well and truly descended on Bordeaux and you couldn’t move for green shirts and Irish accents, but the Belgians were out in force too. Every bar was full, and the fun was incredible, so much so that the fanzone, set up to house thousands of fans was almost empty. The craic was in the Irish pubs! A short walk from our hotel a local police man began to sing along with the lads and a chorus of “Stand up for the French Police” started up. I also had to drag my other half away from a group of lads who decided that he was the image of Martin O’Neill and told me how lucky I was to be with him. We exited just as they began to chant and made a lucky escape before the thousands of others joined in. On match day we hopped on the tram out to the new Stade de Bordeaux, an interesting box shaped stadium. 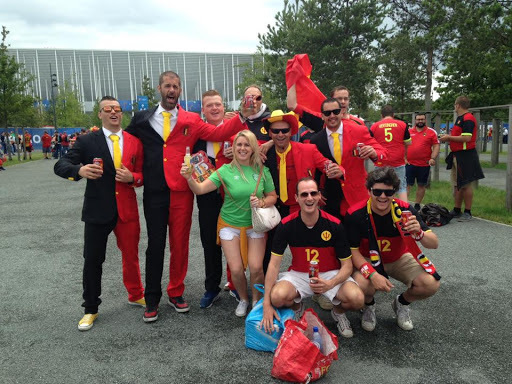 Here we mixed with the Belgians in stark contrast to the reports of fights between English and Russian supporters. There were dance offs, brass bands and general merriment. I also saw some good natured political activism, who said sport and politics don’t mix? We were literally sitting in the back row of the stadium and I had to climb up like a mountain goat, but the view of the game from up there was pretty decent. 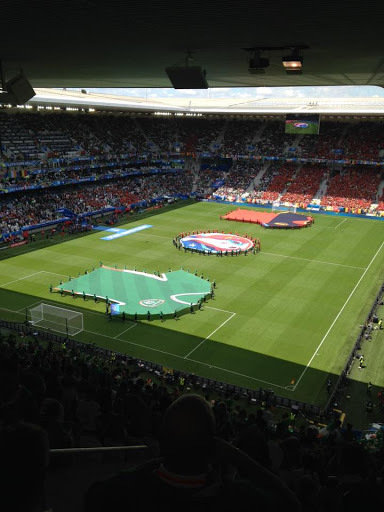 Sadly the result didn’t go our way and the Belgians trounced us 3-0. 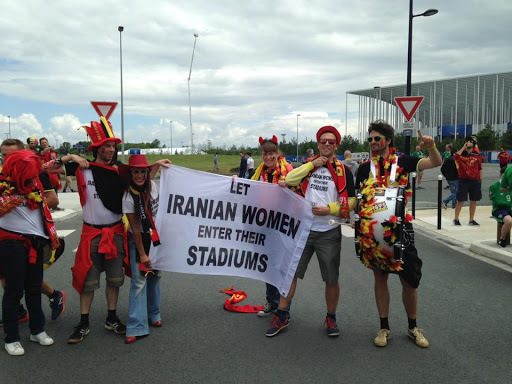 Somehow, this didn’t dampen our moods much and we enjoyed some friendly banter with the Belgians after the game. I want to tell you more about our tour de France and I will! But that’s all from me for now! Next Dear Paris…. It’s Not Me, It’s You! I had to google Matt Holland. I don't watch football so I didn't know him. But how awesome that you bumped into him and could take a picture! And the view in the stadium is nice. Great pictures!